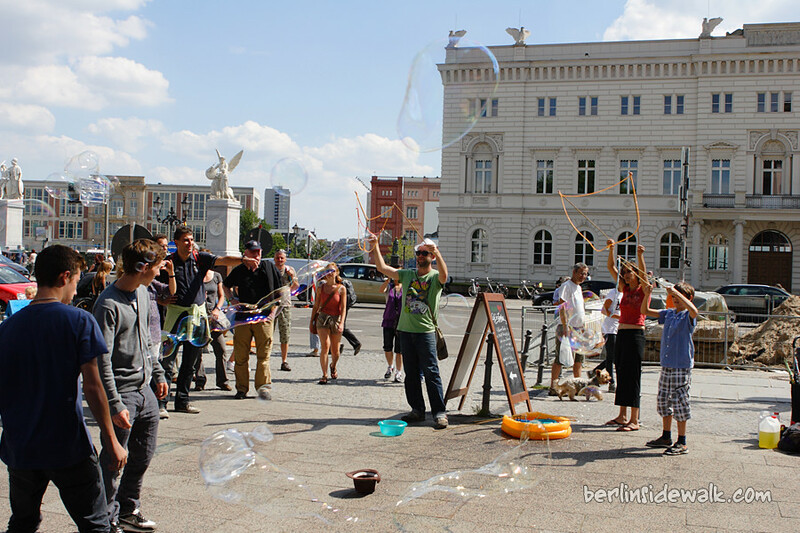 On a sunny day, you can see performing artists all over the city, and it doesn’t take much to draw the attention of surrounding passersby and tourists. For example, just a paddling pool and some soap water. The Stadtschloss, in English the Berlin City Palace, was a royal palace in the centre of Berlin. It was the principal residence of the Hohenzollern Kings of Prussia from 1701 to 1918 (the German Emperors from 1871 to 1918) and a museum following the fall of the German Empire in 1918. Damaged by Allied bombing in World War II, although possible to repair at great expense, the palace was demolished in 1950 by the GDR authorities, despite West German protests. Following the reunification of Germany, it was decided to rebuild the Stadtschloss. The new Castle will be named Humboldt Forum and will be rebuilt as a replica of the former Baroque building. 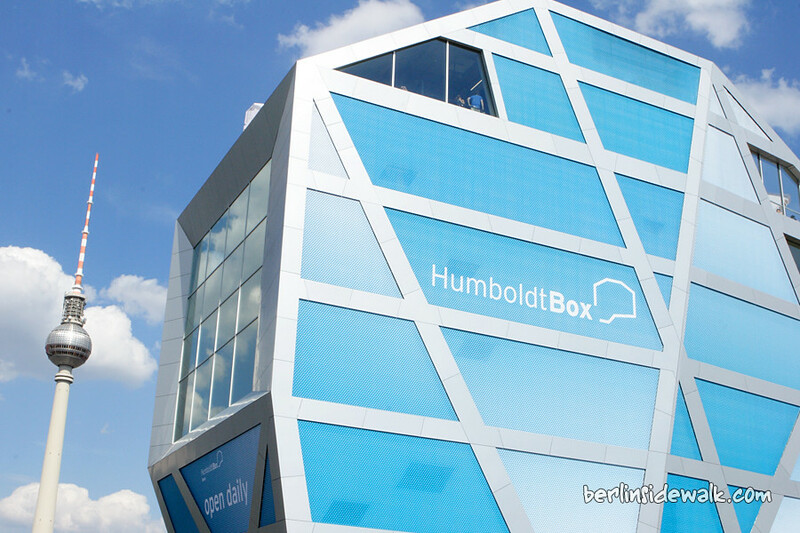 In the meantime a big blue box, called HumboldtBox, will cover the empty space right beside the Berlin Cathedral. If you want to know more about the whole project, just visit the exhibition on the first floor, or if you just want to relax, the restaurant on the fifth floor provides you a 360° panoramic view over Berlin. 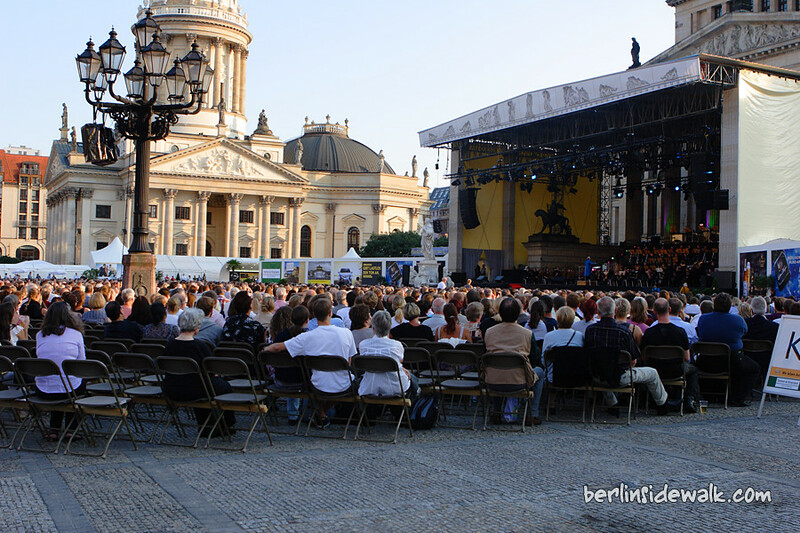 Since 1992 every summer the Gendarmenmarkt in the heart of Berlin turns into a great concert arena and yesterday was the last day of this years event. 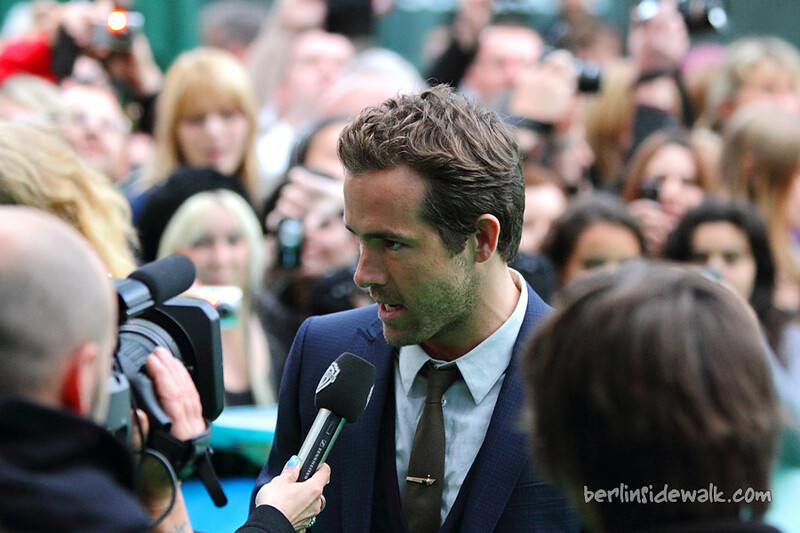 This summer was the 20th anniversary of the Classic Open Air Festival and it ended with a special concert, the soundtracks of the James Bond Series performed by the Royal Philharmonic Orchestra London. Dominique Horwitz will accompany you on a musical voyage though almost half a century of Bond movie history, under direction of the American conductor Carl Davis, London’s world-renowned Royal Philharmonic Orchestra and the British singer Mary Carawe. The whole place was filled with music and people enjoyed the concert sitting in the warm evening sun, drinking a beer, eating an ice cream, even without buying a ticket. 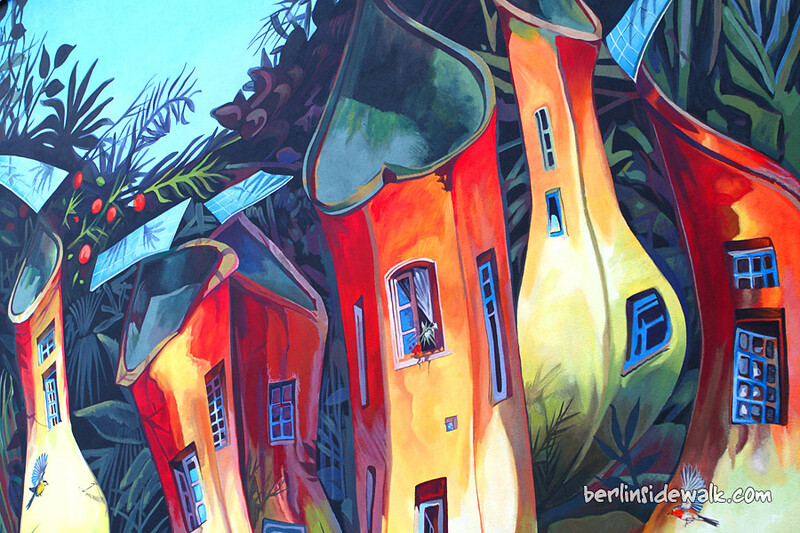 A mural in Berlin-Neukölln, created by the French artist group CitéCréation. The work in Jupiterstraße No. 15, nearby Berlin’s famous Sonnenallee, was unveiled on 1 November 2010.